The Hollywood of Sáenz’s first novel for young adult readers is a ragged barrio of Las Cruces, New Mexico, where Sammy Santos and his friends live in the year 1969. Toward the end of his junior year of high school Sammy begins to notice classmate Juliana Ríos, whose self-confidence in the face of racist teachers inspires Sammy. Juliana, however, hides a desperate home situation that results over the summer in her violent death. Afterward, Sammy wonders if he will ever love another girl again. His mother died years earlier, and over the next year, Sammy endures more losses—a neighbor’s husband, a best friend drafted and then killed in Vietnam, another friend dead of a heroin overdose, two gay classmates brutally beaten and then driven out of town by bigoted whites. Along with the troubles, however, comes Sammy’s political awakening, when he and his friends campaign for a change in student government, organize a strike against strict dress codes, and pass out armbands against the war. These struggles give Sammy and his friends a sense of hope and purpose and bring him closer to his father as well. As I reread sections to finish up this review, I am in tears. 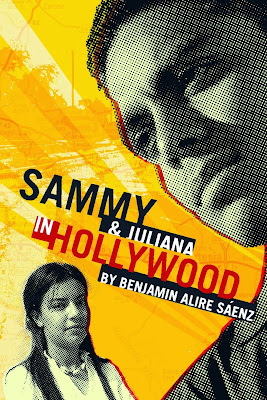 Sammy & Juliana in Hollywood is that strong, that good. Highly recommended. I want to echo the strong recommendation for this novel. It's one of my all-time favorites, a reading experience to be savored. Absolutely genius. When I first read this book, I would read aloud the passages to my sister. It drove her crazy. Until she had to read it for herself.